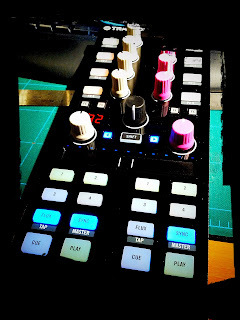 PTSuks Uncanny World: Traktor X1 MK2 DJ Controller Has Arrived!!! BONUS: The Hidden Controls! 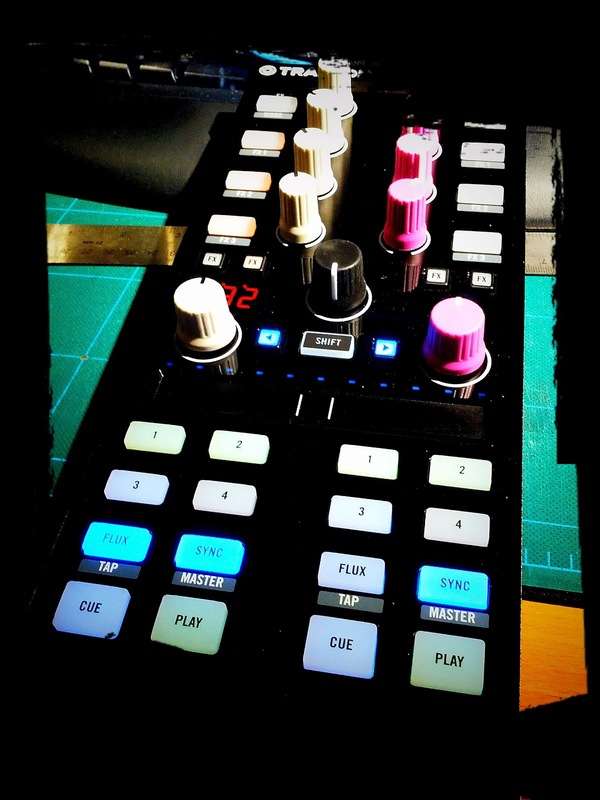 Traktor X1 MK2 DJ Controller Has Arrived!!! BONUS: The Hidden Controls! So it looks like ahead of the August release my twin pre-orders of the new version for the X1 controller shipped early! Check out the goodness below! I'm still playing around with the controls. I'm missing the 5-8 dedicated cue point buttons, but I'm sure there is a way to map them back to being more like the old x1 cue points. I suppose I could just use the extra buttons on another controller entirely, like say my vci-400. The strip controller is pretty fun to play around with and seems like a great point of access for some cool mappings, we'll have to see what everyone comes up with! Great addition I think. Hold SHIFT and press PLAY (this is like S2/S4). Hold SHIFT + PLAY, then rotate the Deck's Loop Encoder. You'll see the transpose amount displayed in the Loop Display. Press and release the Encoder to reset to 0 semitones. Hold the Deck's SYNC Button and turn the Deck's LOOP Encoder. Press LOOP Encoder while turning for large adjustments. Press and release encoder to reset to 0.0%. Hold SHIFT and press Left Load Button. Hold SHIFT and press Right Load Button. Hold SHIFT and drag on the touchstrip while Deck stopped. When a Deck is playing and the Touchstrip is assigned to FX or Loop, you can hold SHIFT and drag on the Touchstrip to do pitch bends (that way you don't have to leave FX or Loop assign mode).